Ryan's Smashing Life: The FireTree is added to The Outlaw Roadshow Nashville! The FireTree is added to The Outlaw Roadshow Nashville! Life is beautiful sometimes and things just kind of work out. Adam met The FireTree in New York City on his way to Nashville for the Roadshow. Lovely people, this Australian duo. A lengthy conversation about international touring and the foibles of making music ensued. Adam and I began texting back and forth and we decided to invite the pair - who were also headed to Nashville, to our artist bbq. Once there, our team were won over by these charmers. The music however, is far more convincing. A different flavor of indie folk invokes an emotional response. Their songs color the air like white smoke and the positive energy pervades each note and chorus. We are absolutely delighted to announce we have added The FireTree to The Outlaw Roadshow Nashville! 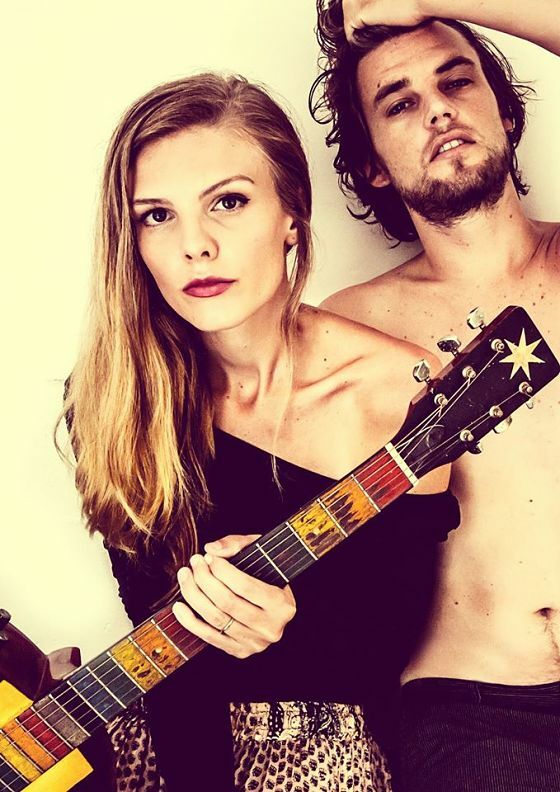 BYRON BAY ALL-STARS - Indie folk darlings The Firetree are Dale and Josephine, unapologetically do-it-yourself musicians who have been steadily carving out their niche in the vibrant Australian live music scene. Embracing the multi-instrumental culture, the pair play a modified drum-kit, acoustic and electric guitars, percussion, harmonica and mandolin to create a captivating raw indie pop sound topped with soaring vocal harmonies.